They are not very long, but if you find the topic of the history of the Camino interesting you will be certain to love these! Who were the Celtiberians? Most scholars believe that the Celts proliferated in the Rhine valley and gradually moved westward reaching such areas as Britain and Ireland. Yet there is a growing amount of evidence to suggest that the Celts as such were not a distinct race. They had no central leader nor code of laws; furthermore, it is suggested that the Iberi parted company at the Danube River with one group moving south to Egypt where they stayed many centuries before migrating north and west to the area we now call the Iberian Peninsula. Who were these people? Why, when the two groups were reunited did they recognize so much in common? And what was their legacy to the Irish and subsequently the Scottish races? 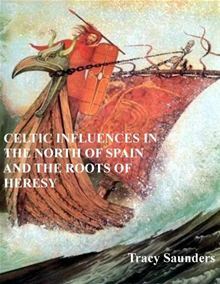 Celtic influences in the North of Spain takes a fresh look at the Celts and the lasting influences they have had on the peoples of Galicia, Asturias and Cantabria. Did those pagan peoples leave a legacy that penetrated even Christianity in the 4th century? 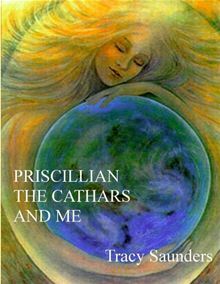 In ﻿Priscillian, the Cathars and Me, Tracy Saunders﻿ takes a look at the similarities between the Cathar religion of the Langue d’oc in the 12th and 13th centuries, and that of the followers of the 4th century Bishop of Avila, Priscillian, who was decapitated by the Romans on the grounds of witchcraft and heresy, along with seven of his followers, one of them a woman. The execution was the first instance of the Christian Church deliberately exterminating what it believed was harmful to the growth of Roman Catholicism. Priscillian’s torture and trial are reminiscent of what would later become the “Inquisition” of the Dominican Friars, and the force of questioning lead to the burning at the stake of thousands of the Cathars - The “Good Men” - at a time when the priests and churchmen had sunk to the lowest levels of depravity. What did these two branches of Christianity have in common? Is there the possibility that Priscillian’s message was already widespread in the Pyrenees after it had been run aground (or underground) in the north of Spain? Did Priscillian lay the fertile soil for the Cathars’ acceptance of the religion of the Bogomils of the Near East? Saunders, author of Pilgrimage to Heresy and St. James’ Rooster intertwines her own reasons for choosing Gnosticism in this personal and easy to read article.